Daryl Johnson (Worcester Park, United Kingdom) on 11 April 2009 in Documentary & Street and Portfolio. 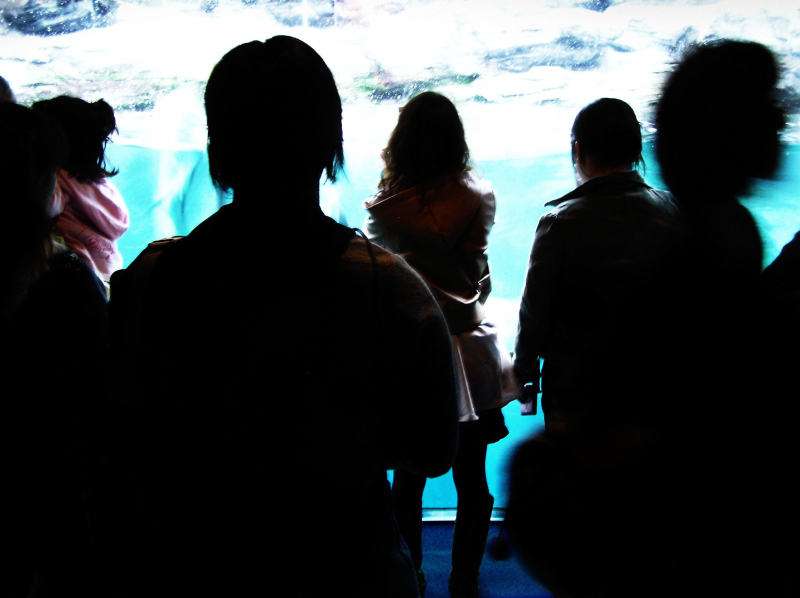 Observers at Kaiyukan (Osaka Aquarium). Very nice backlight shot with these silhouettes! I guessed aquarium . . this gives a very strong feeling of being there. Like we have a place in the crowd. Effective shot. Water has a relaxing effect... good title, and a lovely shot. This is great! The ambience from the aquarium is so soothing and peaceful and so cool with the contrasting and figures. I was in such a darkened viewing place at Ocean Park, Hong Kong and the pickpocket struck. He only got my sunglasses though. I don't think that would happen in Japan. My son was recently very disappointed --he didn't get picked for the JETS program and so far hasn't found a way to get employment in either Japan or China (he's studying both languages).